And I am not talking about “Flag” the version playing at Punk Rock Bowling. I’m talking about Greg Gin, Ron Reyes and co bringing the Bars back to life. 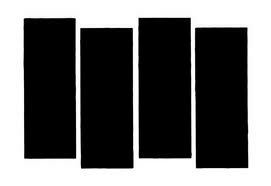 annoucement from Ron Reyes of BLACK FLAG…..
~ by thrashpunx on January 27, 2013. BLACK FLAG headlines Muddy Roots Music Festival Aug 31, 2013!!!! D.I.Y. Festival headlined by a D.I.Y. band.